Montgomery College Television Arts & Humanities	 Best-selling author Paul Rogat Loeb shares stories and insight from over 35 years of writing about social change and community activism. Best-selling author Paul Rogat Loeb shares stories and insight from over 35 years of writing about social change and community activism. 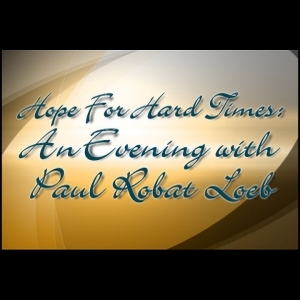 Embed "Hope for Hard Times - An Evening with Paul Loeb" on your page.